As a teacher, long weekends are a welcome, especially when the students are stir-crazy with cabin fever. (It doesn't help that my school district was one of many hit by the New Year snow storm that closed school for an extra three days. A two day week followed by a 5 day is nearly torture, because the students are so not use to being in school-- especially middle schoolers.) 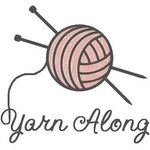 I hope to snuggle up with a book or two, work on a bit of crochet, and (even though it sounds dreadfully dull) get some lesson planning done. Who can resist that ruggedly handsome guy? I have two new books to try, too! As a fan of crime shows (sometimes), I'm a sucker for the Richard Castle books, only because I know they'll be an easy mystery read. 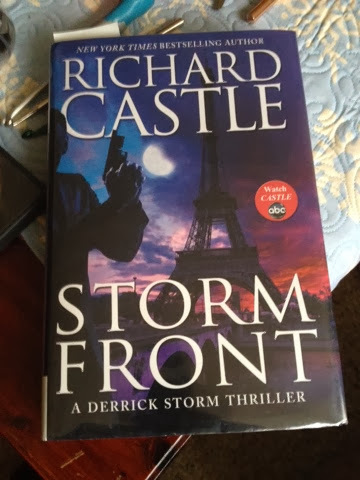 My husband and I have been going through my Castle & Bones DVDS at a rapid pace (it's easier to watch one or two 45 minute TV shows then dedicate time to a movie), so I was excited to see the new Richard Castle book available at my local library. Trying to stay up-to-date with the library technology, I'm also trying some e-books, which I can browse on my lunch hour at school, and download straight to my iPad. Mainly I'm looking at new historical fiction, as those are the books that hold my interest most often (and I have to keep my love of history alive while I'm not teaching it every day((Say a prayer that I teach history next year!!))) On the history front, though, I do have my tales of English history book that my husband bought me back in December. Due to its size and the style of writing (lots of short stories) I'm able to read a few a night, which is exciting. So far, I've made it through Roman occupation and I'm somewhere in the Dark Ages. 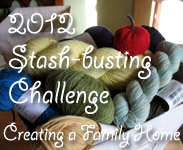 I'm trying to cut down on WIPs, and right now, I have 2 bigger projects, and a handful of smaller ones. Pictured above is the start of a Huntress Vest, inspired by the costume worn by Katniss at the beginning of the second Hunger Games movie. A coworker of mine asked if I could make one- she had the pattern purchased already, so it was easy enough for me to commit to. Her daughter wanted it in black/gray instead of the movie's beige/tan, which I like better anyway. My "bigger" projects are both blankets-in-progress, and they will both take time. One is all motifs, which helps its progress, only because it can be on-the-go a bit more than the giant eventually queen sized ripple blanket I am making. 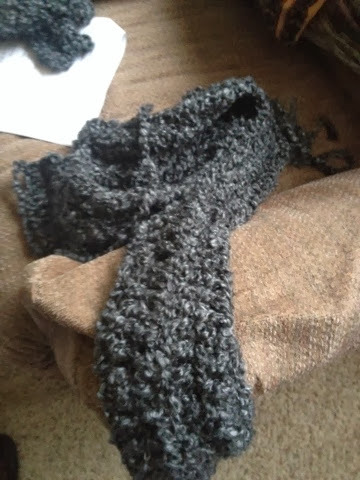 I'm in search of a cowl pattern to use up my abundance of cute buttons, but so far, no luck. Suggestions?